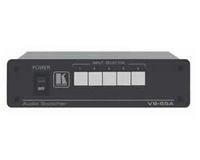 The purpose of a switcher is to “switch” between 1, 2, 3 or more audio/video sources to 1, 2, 3 or more outputs. 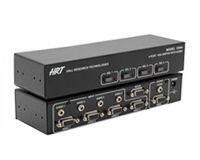 Audio Visual switchers are available in formats such as HDMI, DVI, VGA, Composite, Component and analog/digital audio. 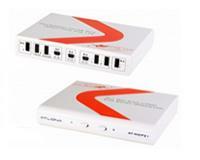 Choosing the right switcher for a particular application can be quite tricky. A question you will want to ask yourself is: “What type or sources am I working with and what is my output?” Also, knowing the distance from your switcher to a display is very important when selecting the correct switcher. 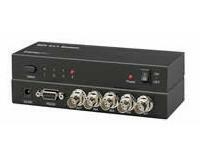 Newest HDBaseT technology allows a video, audio, ethernet, power and control to travel long distances over a single Cat5/6/7 cable. So, let’s go back to choosing the right switcher for a residential application. 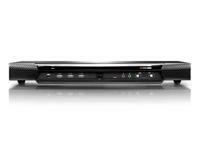 In most cases, residential needs are the lack of inputs on a TV. 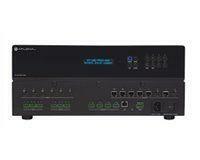 In this case, a 4 inputs and 1 output switcher will suffice. How about a commercial application for a local bar or restaurant that would like to show different channels to different TV’s? 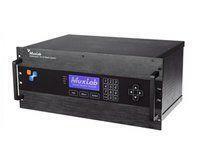 An 8x8 or 16x16 matrix switcher would be ideal depending on how many source inputs and outputs you are dealing with. 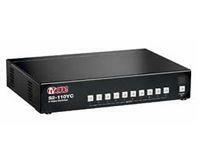 The benefit of using a matrix switch in this type of environment is the simplicity of changing channels on different TV’s from the front panel of the matrix switcher, remote control, IP control as well as RS232. 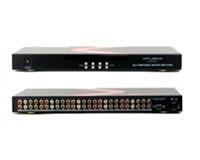 In addition, we carry a few other brands that develop matrix switchers for much larger applications including security control rooms for large business buildings, casinos, stadiums etc. 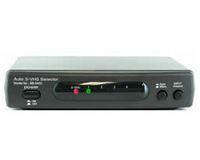 In this world of modern technology, many AV switchers have an internally built in scaler enabling the compatibility with devices to support resolutions up to 4K UHD (Ultra High Definition). 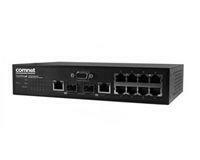 High end switchers can seamlessly switch from one source to another with the blink of an eye, however traditional switchers are easily detected when switching. 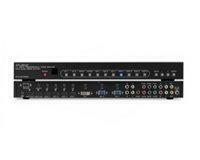 BZB Express has partnered with industry leading manufacturers to provide each and every client the switcher they are looking for. 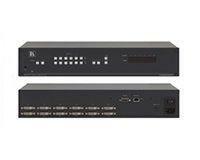 We carry switchers from Atlona, Gefen, Kramer, Purelink, Avenview, TVOne, Shinybow, Matrox Video and more. Please feel free to call our representatives with any concerns or questions regarding your application. We are positive we can find the right solution for you!